Home / italy / Sanremo 2019 Press Room Jury | What is it? Sanremo 2019 Press Room Jury | What is it? SANREMO 2019 JURY OF THE PRESS SPACE – The music returns to the center of Sanremo. This is the aim of Claudio Baglioni who, for his second year as artistic director, wanted to concentrate on the songs, with very different genres and varieties, a mirror of contemporary music reality. From rap to indie, the 69 edition of the festival is presented as one of the most innovative: certainly, artistically, you do not get bored. But the changes also relate to the regulation. First of all there will be no competition between the so-called New Proposals, which has been replaced by the Sanremo Giovani program that was broadcast in December 2018 with the accompaniment of Pippo Baudo and Fabio Rovazzi. From Sanremo Giovani two winners emerged, Einar and Mamhood, who have the right to compete directly with the Big. In total, the number of singers went from 20 to 24 in the race. There will be no eliminations even this year: all participants can then win in the final of Saturday, February 9, 2019. There are four voting systems that are offered by the regulation of Sanremo 2019, which during the episodes will change in different ways to the winner of the 69th edition of the festival: the televoting (both via a fixed line and a mobile phone), the jury , the jury of the press room and the honorary committee. What is specifically the jury of the press room? 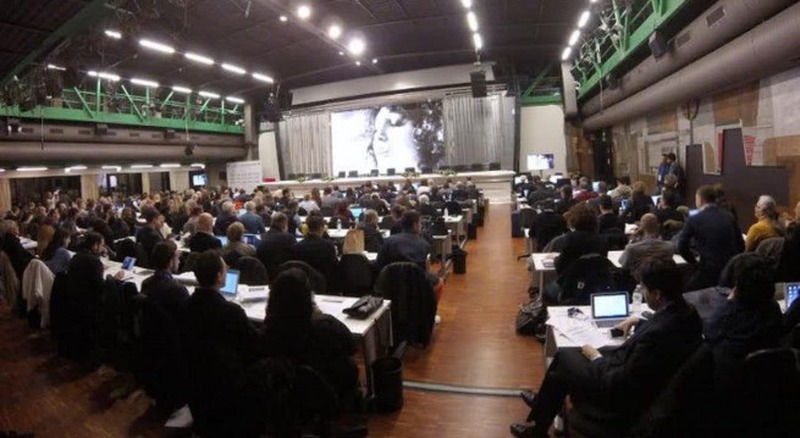 This is a jury composed of journalists accredited in Sanremo 2019 and who will vote in the Roof Hall of the Ariston Theater, according to procedures that will be determined by a specific regulation that will be adopted by the press service, before the start of the festival. Below is the full program of the five nights of the festival, broadcast in prime time from Tuesday 5 to Saturday 9 February. At the end of the third evening we read the rules, a ranking will be drawn up for all 24 songs, resulting from the average percentage of the votes obtained during the first three evenings. In all three evenings the jury of the press room gets 30% of the votes, the televoting 40% and the opinion jury the remaining 30. Fourth evening (Friday 8 February 2019): performance – by the 24 artists – of their own songs in competition, possibly in a revised version and / or with a different musical arrangement, each with a guest artist. In this case the jury of the press room keeps its 30%, the weight of the televoting increases to 50% while the poll does not intervene, replaced by that of Honor (20%). The average percentage of the votes won in the evening and those achieved in the previous evenings determine the ranking of the 24 songs / artists. During the evening a special prize will be awarded to the interpretation with the most voted artist. Last night (Saturday 9 February 2019): performance of the 24 songs in competition by the 24 artists. Also in the last evening the jury of the press room votes with the public and the Honorary Party, with the same percentages as on Friday. The announcement of the final classification follows (obtained with the average between the percentages of the votes obtained in the evening and those achieved in the previous evenings), excluding the first three places. At this point, the three pieces remaining in the competition are again proposed by their authors. At the end a new vote will establish the winner of Sanremo 2019. Cuoghi a TMW: "Gattuso? Any doubt about meritocracy comes …"